Under the aegis of the 4 RAPID, based on requisition from civil administration, the army columns have been deployed for rescue and relief operations in the devastated flood affected areas of Bihar to include Madhubani, Sitamarhi, Gopalganj and Muzzafarpur districts. The columns are doing a yeoman service by saving the lives of the stranded people, transporting and providing relief material to the inaccessible locations. 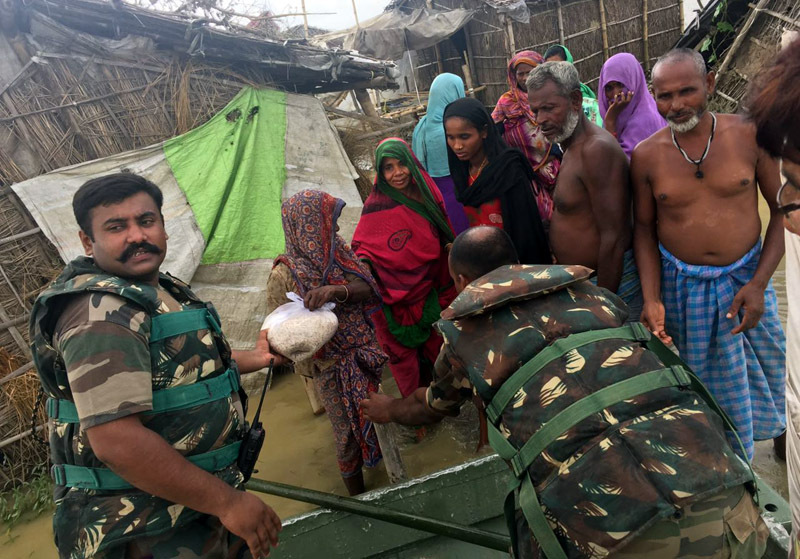 Till the last reports, the Army columns have been able to reach out to over 75 villages, having rescued about 1000 people and have distributed food, supplies, rescue and relief material in these areas. 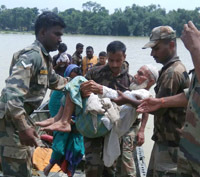 The army medical teams accompanying the rescue columns has also distributed medicines, attended to medical emergencies and saved several precious lives. Among the villagers rescued, there were few pregnant women also.